Aptly named, Cravings is alluring – décor and food-wise. Nuzzled in a quiet corner of Kota Kemuning, Shah Alam, Cravings offers a trendy, upbeat place to hang out with friends or family whilst offering scrumptious temptations to whet the appetite. 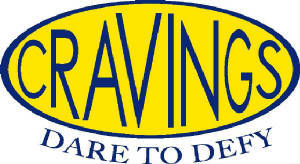 Cravings is the 1st and only restaurant in Shah Alam with a Liquor License and is now operating a full bar. We also have FREE WI-FI facillities for our customers. * We accept Cash, American Express, Diners, Master and Visa cards. Let us know what you think of this site and our restaurant.